The term “History of Xinjiang” is very difficult to grasp. 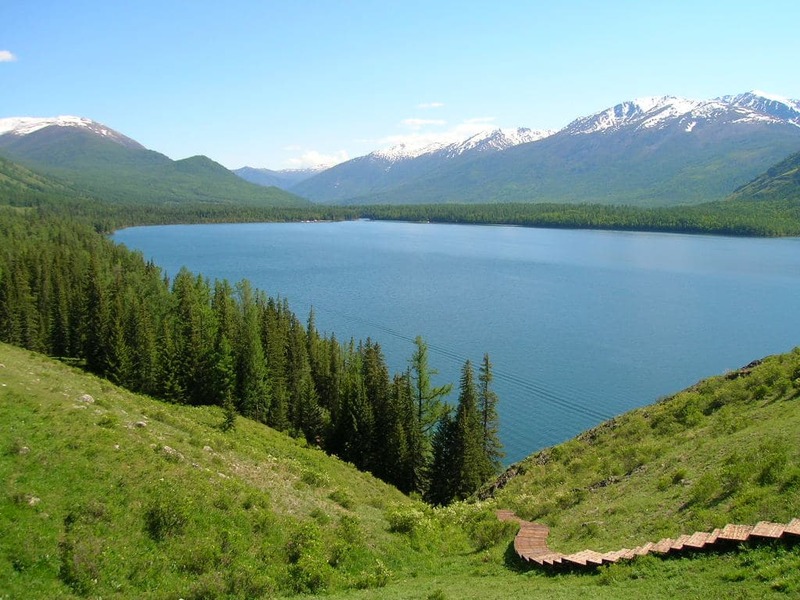 Besides the relatively sparse written records of the region and the fact that it has been recorded in a multitude of languages, the most frustrating aspect of the term is that “Xinjiang” as we know it today has only been in existence for a couple hundred years. There are quite a number of people, especially those with political agendas, who claim an intimate understanding of the region’s history, but very few would be qualified to compile it into a book. Despite my years of living and studying in Xinjiang I readily admit that I could not fill that role. Thankfully the author of Eurasian Crossroads: A History of Xinjiang is not only qualified, he also brings to the table a very objective and apolitical view of Xinjiang. James A. Millward is a professor at Georgetown University who specializes in the history of China and Central Eurasia. He has been published in a variety of scholarly journals and authored at least two other books that I can find on the Qing empire in China. Within the very small world of dedicated Xinjiang scholars, Millward’s name stands out as one of the most recognizable and well-respected. Although there are important specialised works in English on Xinjiang history, for the non-specialist reader these have been somewhat hard to find and hard to grasp…This book, then, is an attempt to fill that gap with a synthetic survey of the history of the Xinjiang region from the earliest times to the present. In the chapters that follow the reader is led through a chronological review of Xinjiang’s history that is meant to be accessible both to those who are at least familiar with Central Asian history as well as to those who aren’t. 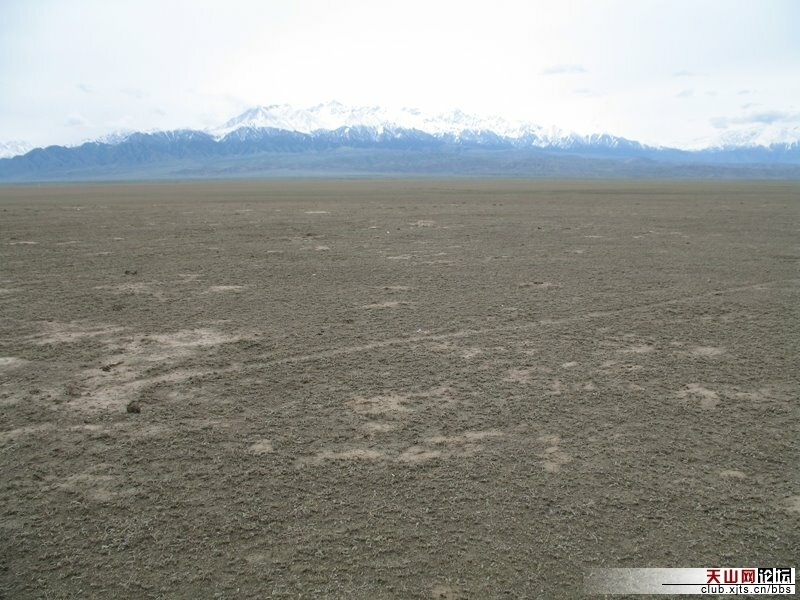 Unfortunately for Millward, the Xinjiang region doesn’t lend itself to simple understanding. If you think that the only two major characters in Xinjiang’s story are the Han and Uyghur, the first three chapters of this book will come as quite a surprise. Xiongnu, Soghdians, Qarluqs, Qara Khitay, Chaghatayids and many other names I can’t easily pronounce make up a patchwork of Central Asian groups that play key roles in the region’s development. As frustrating as this portion of the book is to follow, it effectively communicates the fluid nature of Xinjiang’s early history. Up until the past few centuries, official boundaries and the balance of power have shifted with confusing regularity; also, due to Xinjiang’s large size, events in the north often carried no relation to those in the south. It wasn’t until China’s Qing empire in the 18th century that present-day Xinjiang began to take shape. Whereas the first third of the Eurasian Crossroads: A History of Xinjiang touches on selective events from the Stone Age until the 19th century, the middle portion focuses on the struggles between the Qing, Soviet Union, and local leaders. Although Xinjiang was officially given the status of “province” during this time, it was also a period of many rebellions including the establishment of an independent republic. The final third of the book explores the modern relationship between the People’s Republic of China and its people. From the creation of a farm/military base called bingtuan to the mass migration of Han people into the province, it’s clear that the new government was serious about developing and profiting from this portion of Asia. Overall, Eurasian Crossroads: A History of Xinjiang provides an educational review of Xinjiang’s history reduced to a single volume with a helpful historical timeline and a long bibliography for deeper study. Unlike Christian Tyler’s Wild West China, this book offers a scholarly, politically-detached version of Xinjiang history that doesn’t ingratiate itself to either modern Uyghur or Chinese historians. 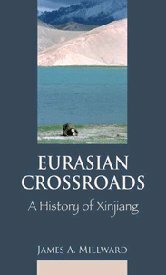 For those looking to better understand the conflict between Uyghur and Han in Xinjiang within the context of history or for those who perhaps need a reliable reference tool for research on Central Asia, Eurasian Crossroads: A History of Xinjiang is both well-written and well-documented. The book’s only shortcoming, as best articulated in another review by The New Dominion (now defunct), is the scant use of Uyghur sources to build accounts of many parts of Xinjiang’s history. As one who personally can’t read Uyghur I would find it hypocritical to judge Millward on this point were it not for his comment on the review. I used Uyghur sources in [specific sections of the book], but not elsewhere, to be sure. Lots more for the rest of you to do! how fantastic – at least someone is digging in!! I actually just got a book in the mail entitled “Xinjiang – China’s Muslim Far Northwest” by Michael Dillon. I don’t know much about him or the book, and although it doesn’t look as detailed as Millward’s work it looks like it might be yet another attempt at a historical overview. My next big project is to read through a Xinjiang history book that I took from Shihezi University – not sure if it’s the same one, though. I’m interested to see what kind of differences I see and I’d love to hear your thoughts from what you’re reading. Funny I thought Buddhism far out dated Muslim in Xinjiang. It does…but most of the Han/Uyghur problems never surfaced until long after the 17th century conversion. So before the 17th century there was just Buddhist and Uyghur problems? Bit of a pattern developing there. Man, aren’t we picky! Ha! At least the picture is nicer than the one on Wild West China…and Xinjiang is spelled correctly. Millward’s book is definitely the best comprehensive history of Xinjiang out there, but it’s not perfect. I think your review nailed some of the problems spot on. All in all, though, it’s great to have a work like Millward’s to refer to. Christian Tyler’s is terribly biased and his sources can be pretty lackluster. Dillon’s is short and at times seems a bit scattered. One that often gets forgotten is Jack Chen’s book “The Sinkiang Story,” but for good reason. It was published in 1977 in the U.S. and, at least the segments on Xinjiang since 1949, read like CCP literature. Hey Chuck, thanks for your input. I’m actually a bit embarrassed about my earlier review of Christian Tyler’s book and now I see more clearly how biased he actually is. Still, it was entertaining and an easier read than Millward’s book. I have heard nothing about Dillon’s book until now and I’m glad to hear your take on it. The publisher sent me that book without any notice and I’ll see whether it’s worth publishing a review about it or not. I was led to believe that the Xinjiang Muslims forcefully ejected the Buddhist’s out of Xinjiang. I’m not quite following you, Damo. I’ve been wracking my brain trying to remember any part of history where the Buddhists were ejected, and I think my confusion stems from the fact that Xinjiang’s Muslims were converts from Buddhism, and I’m pretty sure it was a relatively peaceful conversion. History and archaeology in the region confirm that even under early Muslim rule, many other religions including Manicheanism and Confusionism were mostly tolerated, not tortured. Still, I could easily be wrong. Please pass along any citations that could clear the air a bit. How many Buddhist temples or relics do you find in Xinjiang from there time there and it was not the Han who destroyed them. 1) White Russians fleeing through Xinjiang after the Revolution in the early 1900’s. 3) Archeologist who cut out many of the paintings. I think it’s also important to note that Buddhism hasn’t been an important religion in Xinjiang for almost half a millennium – it’s understandable that their more temporary structures are no longer standing. I don’t doubt that there might have been some friction between religions during the transition period into Islam, but there’s no indication that a widespread ejection or religious extermination took place. Why are Buddhist relics still evident to this day in Gansu? Buddhist relics are still very evident in Xinjiang! A few might be damaged, but there are many places all throughout south Xinjiang that house Buddhist treasures. I’m not sure there are tons more relics in Gansu than Xinjiang, but for argument’s sake I’d say the reason would be that the White Russians never made it that far and the Gansu province never went through the political upheavals (not ethnic or religious) that Xinjiang went through. Also, I’d venture a guess that having their caves and carvings up on the side of mountains worked in their favor for preservation. All of Xinjiang’s were on ground level! or would it be that you are only going back 300 or 400 years into the history of Xinjiang.Which dates back thousands of years. Anything before the Uyghurs you don’t want to know about. Until now I thought we were having a good debate about this. It makes me sad to think we once had friendly communications. I think you carry some gross misunderstandings about me, chief among them being that I am an advocate for Muslims. 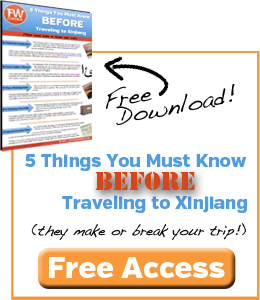 I am passionate about the study and travel in Xinjiang, that’s it. Of course, on my side I admit to developing possible misunderstandings about you. You seem to hold a grudge against the minorities in Xinjiang, especially Uyghur. Did you have negative experiences with them while you lived here? If you want to continue this conversation damo I encourage you to have the guts to email me back, otherwise I refuse to fight with you on a public stage and I have no problem deleting your comments if they serve no other purpose than to try to tear me down. Yeah, best western piece of historic literature going around at the moment, and prolly for quite some time given the CCP’s proclivity to want to fictionize their history to suit their agendas. I haven’t read this book, but have read some of James Millwards other work on Xinjiang and China. He is an academic with a lot of his work based on his own research and interviews, and I assume that he speaks Chinese and Uighur because of being able to gather his material at first hand. However as with all academic work reading is not easy. Another book I read several years ago which also gives an idea of history in Xinjiang over the past 2000 years is Rene Grousset’s “Empire of the Steppes”. The book was published in French just before World War Two, and translated into English in the early 1970’s. Grousset was a classical scholar, so his sources were in many languages, including the ancient languages of Central Asia. The great thing for any historian of the area is the existence of such a good body of original texts about the area with Grousset quoting from people like the Greek geographer Herodotus, among others, and including sources in Sanskrit, Arabic and Chinese. The chapters of Empire of the Steppes are divided into two or three page sub topics which makes for easy reading, and you get an idea of the big picture of what was going on around, as well as within Xinjiang. Thanks for sharing, Carl! I’m not too familiar with Grousset, so I’ll be doing more research.